I'm just starting out reloading. I bought this kit as it seemed to have most things I needed, and was made in USA. 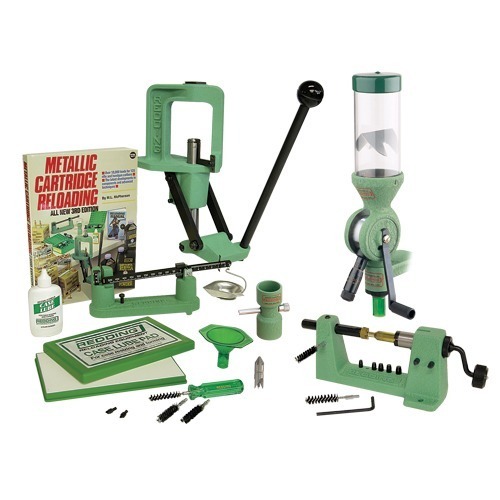 I have finished my first round of reloading and I can say that I am quite impressed with the quality of all of the tools provided. The scale with I was hesitant about because it is a beam scale is super nice. Super sensitive and very, very repeatable. the powder measure dispenser is quite repeatable also. The one thing that I wish that I would have bought is the stand for the powder dispenser. I mounted it to the edge of my bench but it would have been nicer to have it on a stand where it is at eye level. If you order the kit, order the stand as well.